Archaeological data from coastal village sites are critical to our understanding of culture change in southern New Zealand. Here we report on excavations from Kahukura (G47/128), a sedentary coastal village occupied around the time of the cessation of moa-hunting. Results document an attempt to continue the sedentary village way of life in an environment of increasing isolation from long-distance exchange networks. Imported stone resources are scarce, and there is a trend away from terrestrial hunting and a specialisation in intensive local exploitation strategies. Excavations at Kahukura have resulted in a reinterpretation of the influential ‘transient village’ and ‘resource network’ models of culture change in southern New Zealand. We show that after the abandonment of transient villages, changes in settlement patterns, mobility and subsistence were not as abrupt as either model has suggested. Walter, R., Brooks, E., Greig, K. and Hurford, J. 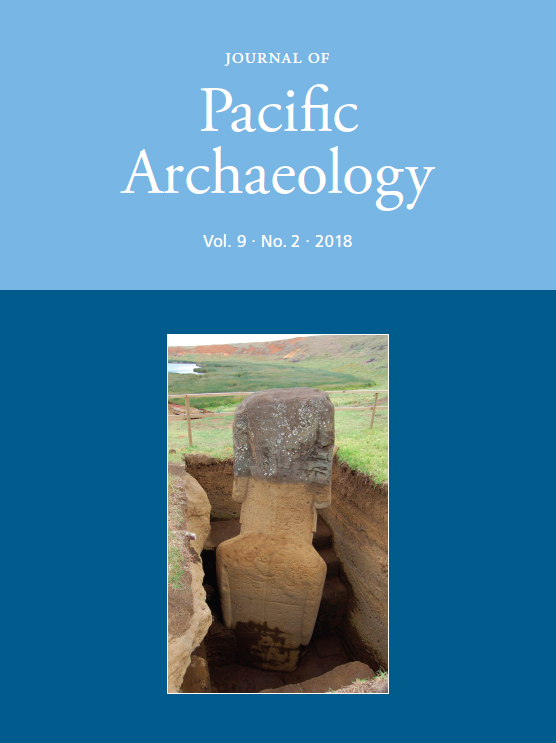 (2018) “Excavations at Kahukura, Murihiku”, Journal of Pacific Archaeology, 9(2), pp. 59-82. Available at: https://www.pacificarchaeology.org/index.php/journal/article/view/246 (Accessed: 22April2019).